DEWETRON data acquisition or inspection systems provide the many features and functionalities necessary for maintenance and troubleshooting tasks. 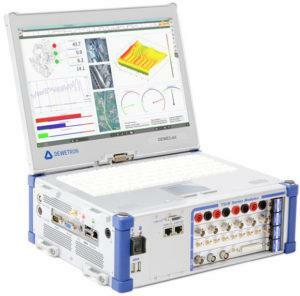 Recorder, FFT analyzer, fault recorder, scope as well as order analyzer can be included. Along with these functions, our system also processes the aircraft bus systems like ARINC, or MIL-STD-1553.